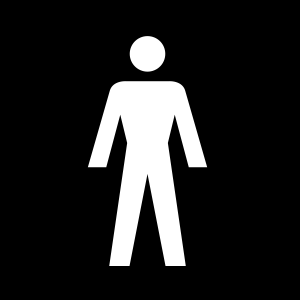 Prostate Cancer UK Online Community » Diagnosis » Being diagnosed with prostate cancer » Just been diagnosed, need more info please! Just been diagnosed, need more info please! I’ve just been diagnosed with prostate cancer and after two days of ignoring it and hoping it would go away, I’ve started looking into everything. T score – I can’t find any mention of this in my biopsy report. Having researched it, I think mine may be T2c. This is based on the cancer being in both sides of the prostate (Right: 15% on the right found in 4/6 samples, Left: 5%, found in 1/6 samples). The digital examination did not find anything abnormal. The MRI was inconclusive – “diffuse signal changes” presumed at the time to be inflammatory. The nurse said they don’t think it’s spread. The mri showed- no enlarged lymph nodes, or concerning marrow signal change in the pelvis. And that the seminal vesicles return normal signal. No extraprostatic or vascular invasion, but that there is perineural invasion on the right side only. I am wondering if it is this perineural invasion, and it being one both sides that are the main red flags to them. With those results, is that an early or locally advanced cancer? Since I was presented with only one viable treatment option I assume they have not judged it to be low-risk, or slow-growing. I am 42, with a significant family history or prostate cancer (father and his 2 brothers all diagnosed and treated in their 60s). Some hospitals do not encourage RT for very young men as there is a tiny, tiny risk of radiation induced cancers many years later. My husband wanted brachytherapy (seems to have great results but usually far fewer side effects) but was refused for being 'only' 50. I am aware that other NHS trusts take a different view and encourage younger men to consider it as an option. Based on your results so far, you would be described as a contained PCA, not locally advanced. I think what makes you a high risk patient is your age - very young men tend to have more persistent prostate cancers and a higher rate of recurrence, partly because you are more likely to live long enough to have a recurrence. But it is for the oncologist to explain to you what they believe is your best path. You could also explore some of the very new treatment available overseas if you wish. Whatever treatment you end up choosing, the one certainty is that you will become infertile so if you haven't finished having a family you may also want to ask for a referral somewhere to have your sperm banked? not necessarily more aggressive (although it can be) it is often more persistent. They try to hold out on hormone therapy here because over time in some people the cancer will become more aggressive and as many have already said once you have radiation, surgery may no longer be an option. From your PSA, staging and biopsy result, I find it very queer that you've been offered only one option - the complete removal of the prostate. With figures like that, most of us seem to be offered, what can be, a bewildering number of treatment choices. So I would strongly suggest you ask to speak to both a urologist (for surgery options) and a radiologist (for IRBT options). If you do have some peri-neural invasion, than a radiation related option might be a better course of action. I guess the best i can say is it's your choice, get information from as many sources as you can and I'd definitely recommend grabbing the toolkit from here. Since i started talking to people about my diagnosis it's amazing how many have said "oh i know someone who had that and they were treated with x, y, z". I think it's about getting all the information and then speaking to the doctors from both camps. Thank you both very much for your quick responses. I was surprised too to only be offered one option. In addition to the Gleason score etc, the nurse seemed to be taking my age into account when recommending surgery. I think the thrust of it was 'you're only 42 so it's quite likely you'll need your prostate removed at a later date, and since that becomes very tricky after radiotherapy, it's best we just take it out now'. I'm trying to make an appointment to see the oncologist at the hospital (to discuss radiotherapy options) as well as the surgeon but it's really useful to get any other advice in the meantime. Thank you for the info on the toolkit - I'll look into that now. Gleason 7 is classed as intermediate, the most aggressive cancers are G9 and G10. You can instantly download a PDF of the Toolkit information folder, but I would also order a hard copy as it contains several comprehensive booklets covering all aspects of the disease, some of which may not be pertinent to you. It’s useful to have just the relevant ones to hand. I am pretty sure there will have been an oncologist present at the Multi Disciplinary Team meeting, but it’s well worth talking to an oncologist face-to-face to discuss hormonal and radiological options instead of surgery. If you opt for surgery, do research the results of whichever surgeon you choose. High-volume surgeons (more than 100 prostatectomies a year) tend to have better outcomes in terms of recovery, continence and preservation of erectile function than those who carry out fewer. My own surgeon does 3-400 ops a year, and I am very satisfied, as are several others here who had the same guy. Thanks again, everyone. I spoke to my cancer nurse again today and she's making me an appointment with an oncologist as well as the surgeon. She still says she'd bet on the oncologist strongly recommending surgery as the best option for me. She insists it's my age that is the driving force behind that recommendation. As you've all said, I need to arm myself with info and lists of questions before I have my appointments. Bollinge - Good idea to check the data of the four surgeons working at my local hospital. Lyn - yes, I'll need to consider sperm banking. Unfortunately it is going to be costly as we have two children already and therefore we would have to pay for the banking/IVF etc ourselves. Thanks again, and best of luck to you all too. At best guess, with surgery being the only option will be based on your family history of prostate cancer. Yes you are at a young age to be staged at that level. But remember, you only get one shot at radiotherapy. The multidisciplinary team are suggesting the best route for you. If you have a prostatectomy, you do have the option of radiotherapy if you find a few cells have already moved. The staging can only be be accurately defined by a whole biopsy. Just remember the cancer specialist nurse at prostate cancer does NOT have all the information for her to make a valid comment. The only people with all the relevant info is the multidisciplinary team. I would go with the advice of the oncologist, readiologist, surgeon etc rather than a nurse. Just wanted to add one thing. My husband has a large prostate and they discourage radiation here in guys with larger prostates because it can be harder to do radiation without damaging the nearby organs. Thus, the side effect risk is greater. In the UK, a man would usually be put on hormones for a few months to reduce the size of the prostate before RT commences. I am far from an expert but I can pass on the info we were told. We are from the US and Mayo Clinic is where my husband is followed, he is older than you as he is 56. What we were told is if you could conceivably live 20 more years and have a strong family history (my husbands father died of prostate cancer and two brothers have been diagnosed) surgery is usually best. Typically if you have the strong family history there is a genetic component and while genetic cancer is not necessarily more aggressive (although it can be) it is often more persistent. They try to hold out on hormone therapy here because over time in some people the cancer will become more aggressive and as many have already said once you have radiation, surgery may no longer be an option. I am surprised that the Mayo are saying this, Sally as it is not what they have published in relation to research they have undertaken. It may be causing you additional stress that you don't really need right now. Very few prostate cancers are thought to be genetic (less than 5% according to EU data) although it may be higher in the US? Where PCa is prevalent in a family, it is more likely to be environmental - they have eaten the same foods cooked the same way, drunk the same water & breathed the same air. Whether or not a man will develop prostate cancer is probably determined in boyhood. The most recognised genetic line is the BRCA genes 1 & 2, although there are a number of others. The BRCA cancers do tend to be more aggressive. What also seems to make a massive difference to outcomes is age & race - black African / African Caribbean men seem more susceptible to aggressive forms, as are very young men (in their 30s or 40s). Most hereditary prostate cancers will not just present through male relatives with PCa; there will also be evidence of early onset PCa (in their 50s or younger), at least 3 direct male relatives in the same line, female relatives with breast cancer diagnosed before the age of 45, close female relatives with ovarian cancer, male breast cancer cases, etc. The biggest risk factor is being male, which a man will have in common with his father, brothers, uncles, etc - 60% of men in their 60s and 80% of men in their 80s have some cancer in their prostate.